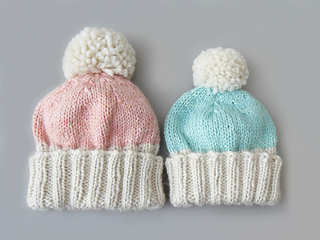 An everyday luxury in softest baby Alpaca with a cosy, folded brim. 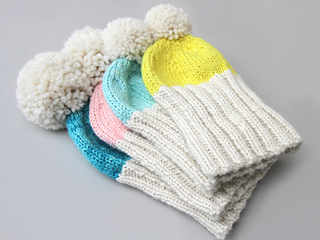 This stylish hat is easy-to-wear and equally perfect for snow bunnies and urban explorers. 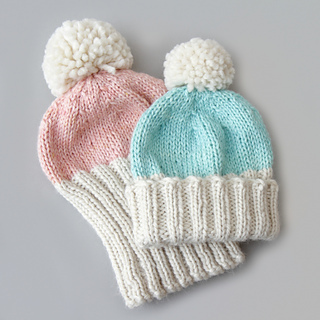 Top it off with a giant pompom - we love Rico’s faux-fur pompoms and Toft’s ethical fur pompoms. Or, create your own using approx. 25g or yarn, or 12g for smaller sizes. Easy level – suitable for knitters that have previously knitted in the round and have worked simple decreases. 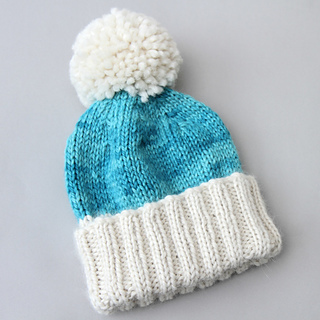 This is a refined and upgraded version of our free beginner pattern, Hoxton Basic. Refinements include more elegant crown shaping, a folded brim, child and adult size options and seamless construction.